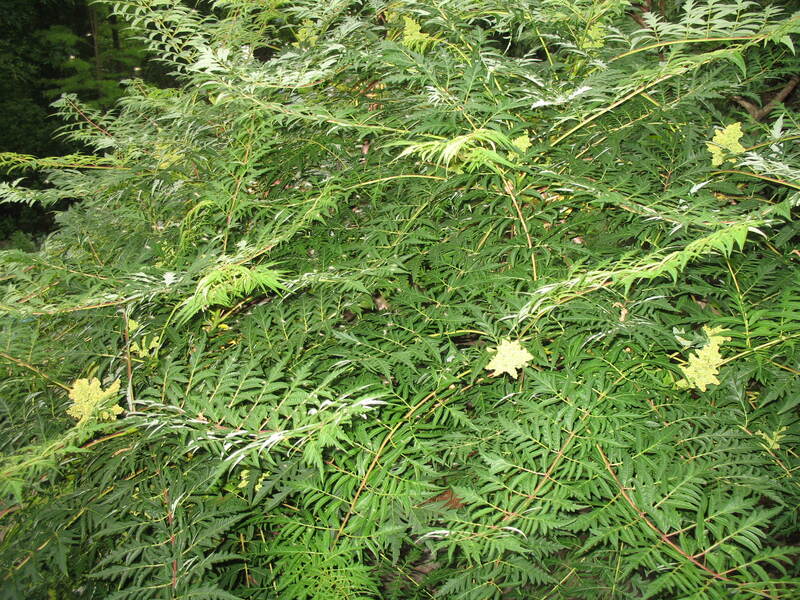 Comments: The special feature of this cultivar of the staghorn sumac is the fern-like foliage. Young stems are covered with a velvety,reddish fuzz. Plantings will become thickets by suckering from parent plants if left undisturbed. As with all others, this one has good autumn color.